Stale Gum: Fun with math and 2010 Topps Baseball. 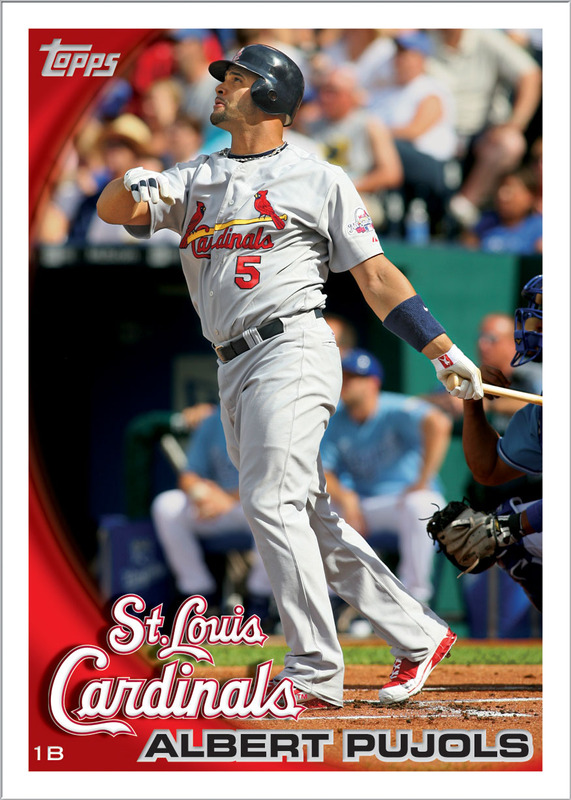 The 2010 Topps design looks like a card you would get in a box of cereal, a package up cupcakes, in bags of dog food or free when you go to a game. I have a hard time looking at this card without seeing it in a clear cellophane wrapper with 4 other cards inside. I can't believe this design is for 2010 Topps flagship! If you supersize that Pujols card it looks great. I also appreciate the picture, I'm tired of looking at Albert's junk. I like it. I particularly appreciate the '91 logo vibe. I'm still not buying a single solitary pack of the flagship until I am fully convinced that Topps is done with metaphorically pulling my shorts down in gym class right in front of the cheerleading squad. That might be 2012 at the earliest.